Katie is a student assistant at the CHP and has worked here since summer 2013. She spends much of her time organizing and pre-cataloging the CHP book collection. She is a junior at the University of Akron and is majoring in Business Administration. When the winter weather gets you down, what do you yearn for to cheer you up? Sun, of course, but also adventure and excitement! 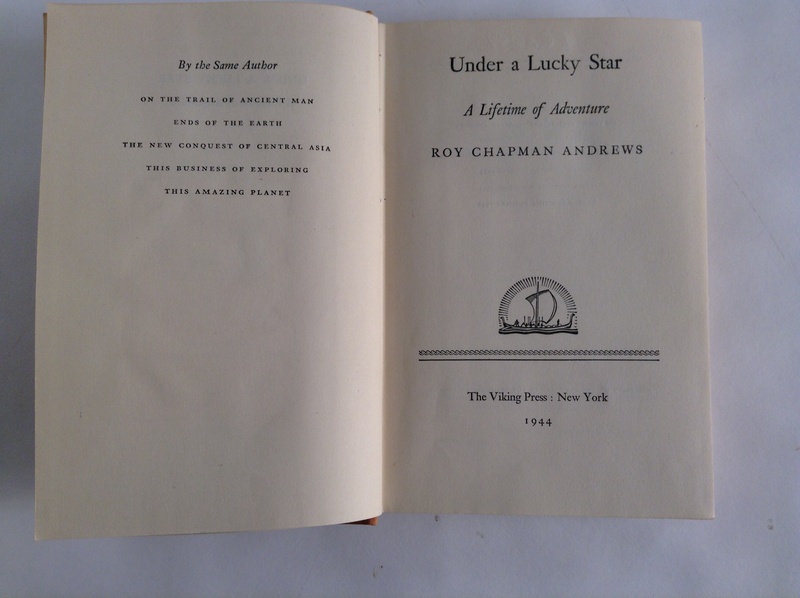 Roy Chapman Andrews’ Under a Lucky Star: A Lifetime of Adventure [New York, The Viking Press, 1943] provides just that excitement, and it lets you escape from this dreary weather for a while, too. 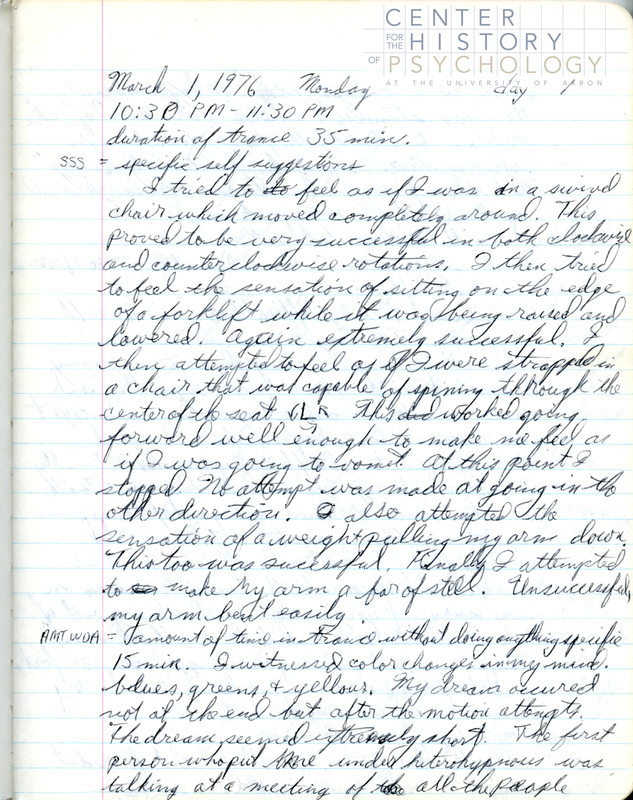 Andrews was an explorer at heart, and started out at the American Museum of Natural History in New York. Though he was overqualified, the only position available was for taxidermy, and he wanted so badly to work there that he accepted. His adventurous side wasn’t quite satisfied, and to be true to himself he had to make that longing for adventure his top priority. His experience in exploration began when he went overseas to collect specimen for his boss, whom he had great admiration for. He went on several more journeys over the next few years and in 1920, sailed to Mongolia with the intent of finding a link to human evolution in Asia. Unfortunately, he and his team were searching in layers of an older time period, too far back in time for what he was searching for. 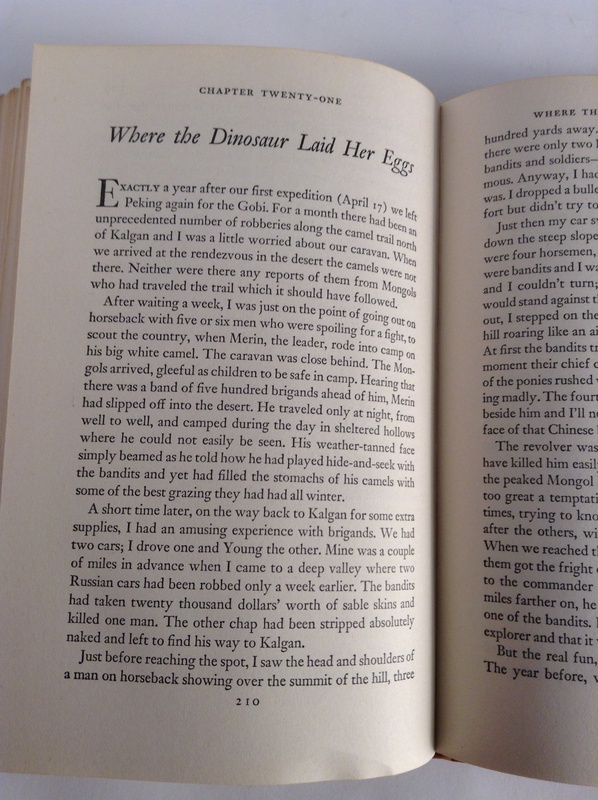 Though they didn’t find the link that brought them there, they instead came across numerous fossils of mammals and dinosaurs, and dinosaur eggs. 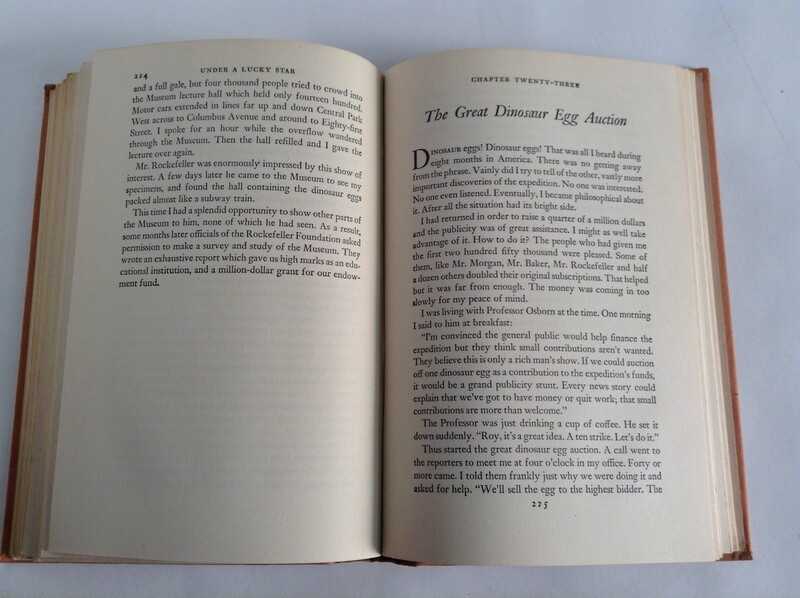 To fund later expeditions, Andrews put the valuable eggs up for auction. He refused to give up, a necessary quality for a true explorer. 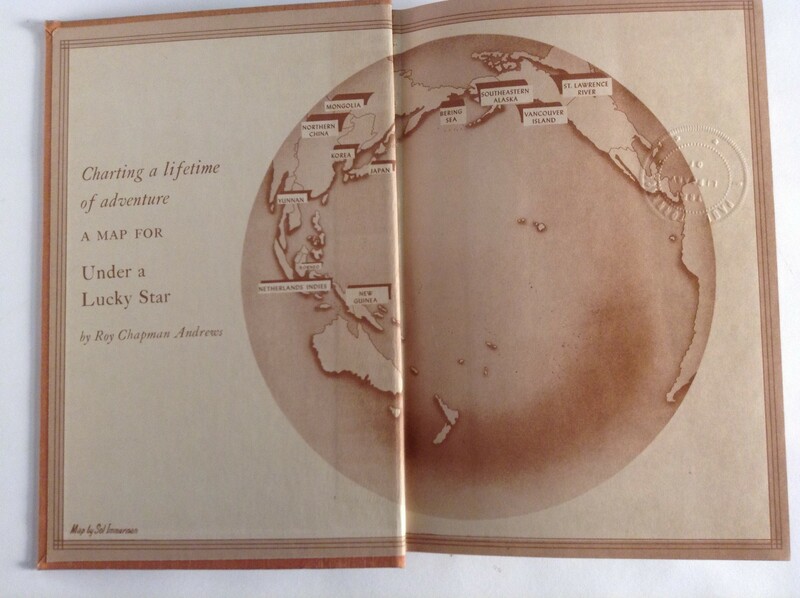 The basis used for Under a Lucky Star was Andrews’ Central Asiatic Expeditions. This was the third of his Asiatic zoological expeditions. 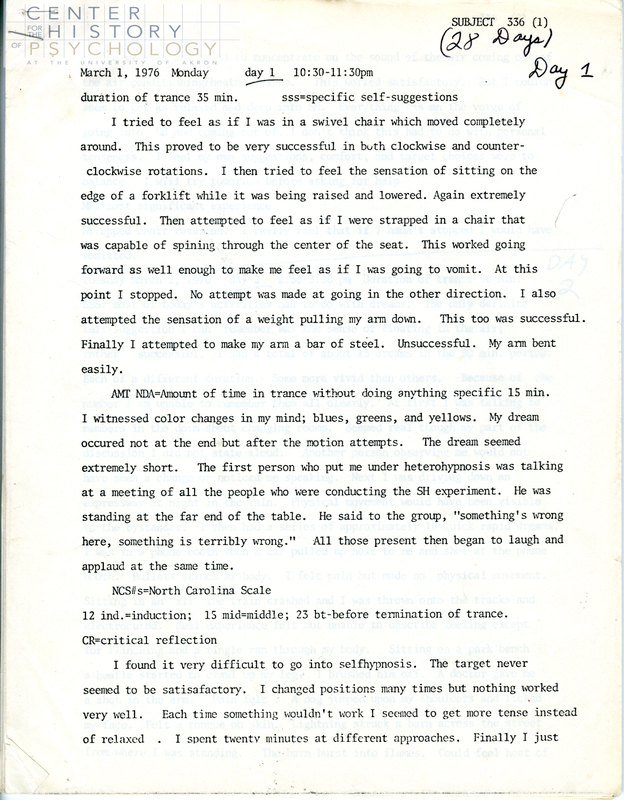 In this autobiography, Andrews describes his journey, discoveries and hardships faced while on his expeditions, and he gained popularity to the extent of stardom from it. In fact, the character of Indiana Jones was based on and created from the real life Indy, Roy Chapman Andrews. I don’t know about you, but curling up with a nice, intriguing and informational book sounds like the perfect thing to get my mind off of these cold winter days. Feel free to enjoy this book with friends and discuss your take on it! 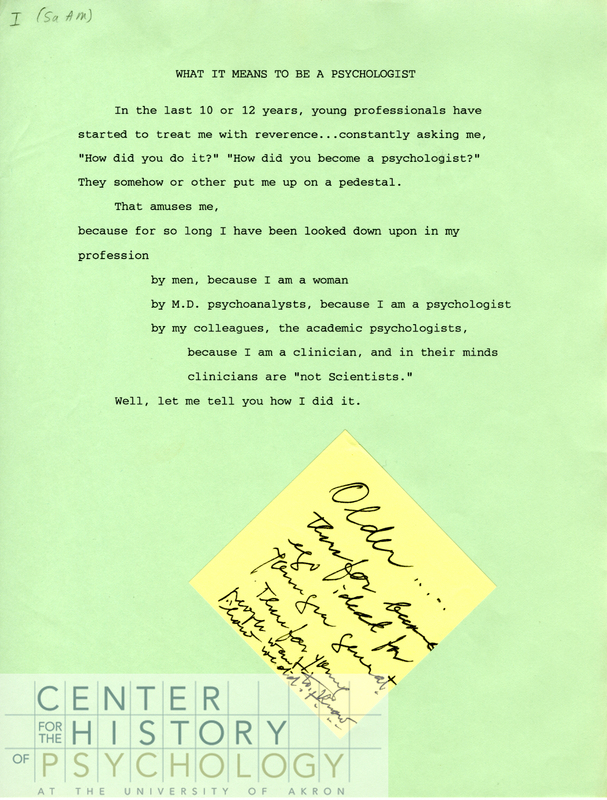 **This book is part of the E. Paul and Pansy Torrance library at the Center for the History of Psychology that includes many books from the 1940s through the 1960s about adventure and survival, WWII experiences, and psychological testing of soldiers and pilots.